Entering Saturday’s game with undefeated UCF, it was clear the matchup was a tough one, specifically for the defensive unit. The 41-point spread exemplified what many thought would be a complete mismatch at Spectrum Stadium in Orlando, but what transpired on the field was far from a laugher. The final score was 49-24, but was not indicative of the competitive level and fight that the Huskies showed throughout the majority of the game. From the jump, the UConn defense seemed much more confident and sure tackling than has been seen in recent weeks, forcing a quick three-and-out to start the game. An offsides penalty on the ensuing punt mitigated the stop, handing the Knights a first down and their offense was able to move down the field and finish off the first drive to take an early 7-0 lead. UConn answered, marching 74-yards to the UCF 1-yard line, but Nate Hopkins was stuffed at the goal line on 1st and goal and the Huskies suffered a false start on 2nd down from the half-yard line, resulting in the offense settling for a field goal on their opening drive. On the very first play from scrimmage after UCF responded with another touchdown drive to go up 14-3, the Huskies ran a quick pitch out of the gun to RB Kevin Mensah that was originally ruled incomplete, but upon review was corrected to a lateral pitch with clear recovery by UCF. It was another mistake early that saw QB McKenzie Milton hit Marlon Williams 5-plays later to put UCF up 21-3 with just 20-seconds left in the opening quarter. 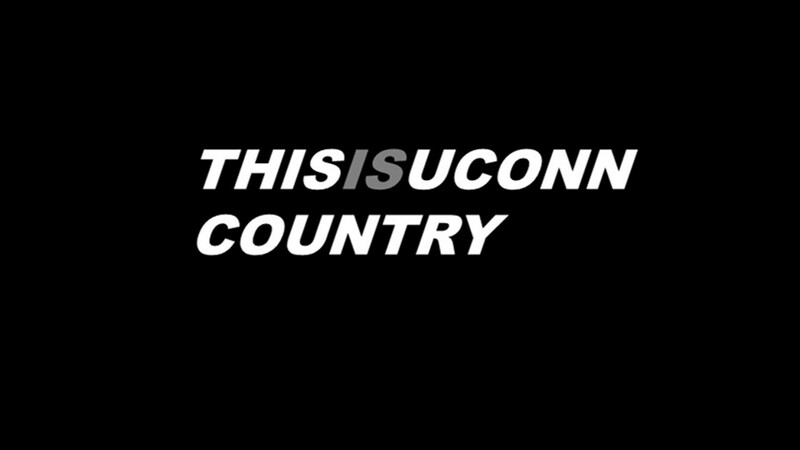 UConn, however hung tough and pulled to within 28-17 early in the third after QB David Pindell hit Arkeel Newsome on a 60-yard pass play to get the Huskies in scoring range, but mistakes limited UConn from chipping away any further. The busted play occurred when LB Chris Britton, who played a great game from his linebacker position, went out with an undisclosed injury and Eddie Hahn came on in his place on a 3rd and 4 with 14:11 to play. UCF RB Otis Anderson hit the hole as Hahn closed in to make a stop, but he fanned on the diving tackle attempt and Anderson busted it out and up the right sideline for a deflating 65-yard touchdown that made it 35-17. The fumble Edsall referenced was an effort play by senior CB Tre’ Bell, on the drive after UConn cut the lead to 11-points. Milton hit Anderson for a 35-yard catch and run, but Bell made a spectacular effort after getting blocked onto the sideline, he fought off the block, chased Anderson down from behind and punched the ball out, which was recovered by Tyler Coyle. It was a play that Edsall was clearly pleased with, as he ended his post game press conference by expanding about that play. “As long as we do that, some days we may not come out on top, but at least I’ll live with the fact that we gave everything that we had and the other team might have made a few more plays than we did that day, but if you don’t do that, you don’t ever give yourself a chance to win,” he continued. “These kids are trying to give themselves a chance to win, but we still have some things where we are making some mistakes that are killing us, which is frustrating for them, for us and for everybody. We need to keep hammering home about being consistent, doing your job and playing as hard as you can on every play and if you do that, the wins will take care of themselves. We haven’t done enough of that to get any more wins than what we have right now, that’s all and we’ll just keep working at it and keep getting better. Quarterback David Pindell made his first start since opening night against Holy Cross and played well, showcasing his elusiveness and displaying he’s certainly taken several steps forward to get better since his first experience at this level. Pindell finished 18-of-31 for 201-yards, 2 TD’s, 1 INT and also ran 21-times for 96-yards and another score. It was a performance that was enough for Edsall to proclaim Pindell the starter next week in Boston following the game. Pindell brings another gear from the position with his legs, which was evident when he outran several defensive lineman to try to extend plays. In what must be an adjustment for the receiving corps, extending their routes and continuing to fight when Pindell does extend plays back there is critical. He thought the group did do a good job of that on Saturday. “A couple of our naked plays, I dropped back and rolled out and they were showing effort trying to get open, but didn’t want to force it down the field,” he said.